Merriam-Webster has published its "Words of the Year 2012" list and one of the words was featured on the Awkward Words Blog earlier this year: malarkey! This list is compiled based on word lookups on the Merriam-Webster website during 2012. Merriam-Webster defines malarkey as "insincere or foolish talk." 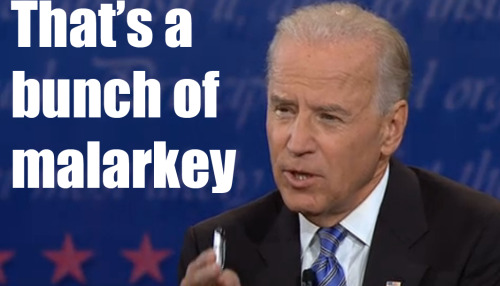 It was popularized this year by Vice President Joe Biden during election debates.